A talented 10-year-old artist is set to be the star attraction at Dundee’s annual comic convention. 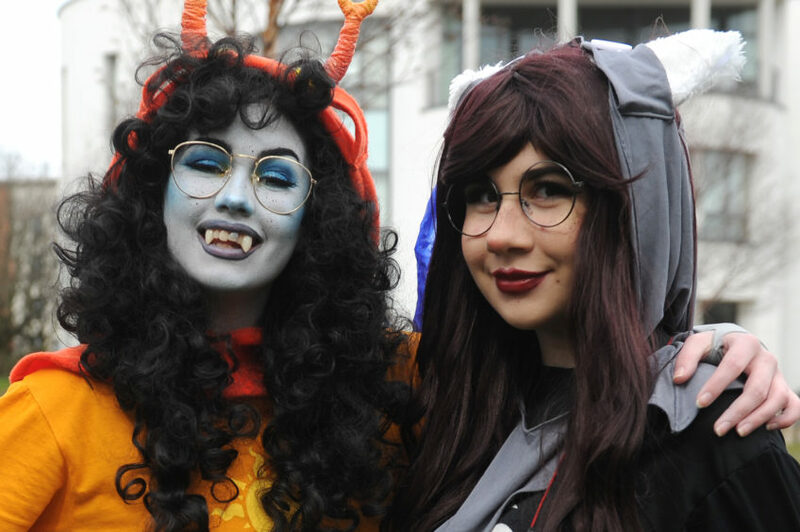 Thousands of people, many dressed as their favourite costumed characters, are expected to descend on DUSA at Dundee University for the DeeCon gathering. Among them will be Drew Marr, a pupil at Blackness Primary School, who is one of the city’s youngest comic producers. The budding animator first attended DeeCon when he was just three years old. Seven years, and several conventions later, Drew has become a comic artist in his own right and published his first comic book series in 2018. 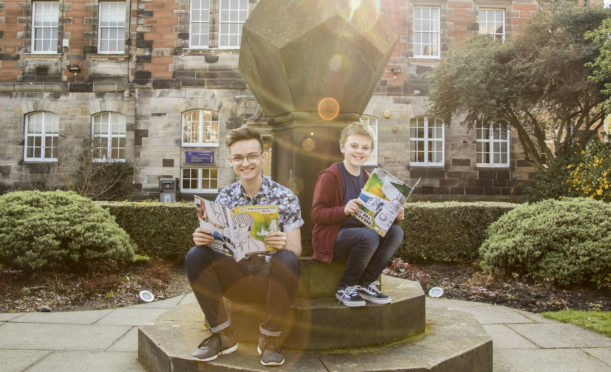 The youngster says it was meeting fellow comic artists such as Sha Nazir, the creator of Laptop Guy, and John Ferguson, of Saltire comics, at previous DeeCons that inspired him to put pen to paper. Drew will share his limited edition prints, t-shirts and copies of his 24-page comic The Rehabilitation of Doctor Eye at this year’s event. Ash Moffat-Wall and Melina Ellie at DeeCon 2018. He said: “I’m so excited to come to DeeCon as an artist. “This year I will launch the third instalment of my comic series and I’ll also have some exclusives just for the convention that I cannot wait to show off. Marceli Guziewicz, an animation student at the university, organised this year’s gathering. He said it promised to be the biggest yet. Several buildings including DUSA, Bonar Hall, off Perth Road, the Queen Mother Building and the Chaplaincy Centre will be used for events. Marceli said: “We are expecting more than 3,500 visitors this year so we’ve had to broaden the scope of the celebration. “This year’s DeeCon will be the best excuse you will have to nerd out for a day. “We will have virtual reality gaming stalls as well as video game tournaments with cash prizes up to £100 to be won in DUSA. DeeCon takes place on Saturday, April 20. Tickets start at £4 for adults and children under-12 go free if accompanied by an adult. Proceeds from the day will go towards Dundee University’s Duncan of Jordanstone College of Art and Design’s animation degree show next year.